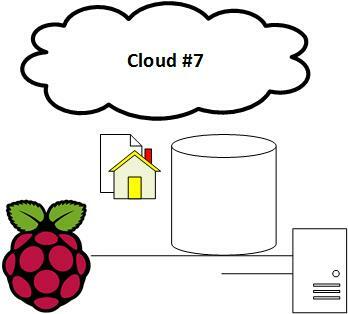 With the Rasberry PI you have a low cost data server at hand to collect and store process data or access central or public data sources. In this post we show how to setup an intial system. Micro SD Card 8 GB or more (depending on the amount of data you plan to store). Adapter to connect SD to MAC. For downloading the required software and formatting the SD we use a MacBook Pro, but a PC will also do the job. Startup your MAC and download NOOBS LITE. Get and install a suitable SD Card formatter for your MAC from sdcards.org https://www.sdcard.org/downloads/ and format SD Card. Unzip and copy all NOOBS file onto to SD card. Remove SD card from your MAC/PC and put it into Rasperry PI. Connect the Raspi to a Monitor and a Keyboard and start up raspi, foolow the instructions connect to entwork and install RASPIAN. When successful the Rasberry Pi will restart and boot up the new operating system. Finally we setup MYSQL and PHP as our pimary programming laguage and database management system. Dpeneding on the release available you may have to adjust to the version of PHP currently available. With this you have a small scale server enviroment ready to operate non-mission critical data. Have Fun!